Hii Friends....I hope you all are fine!! 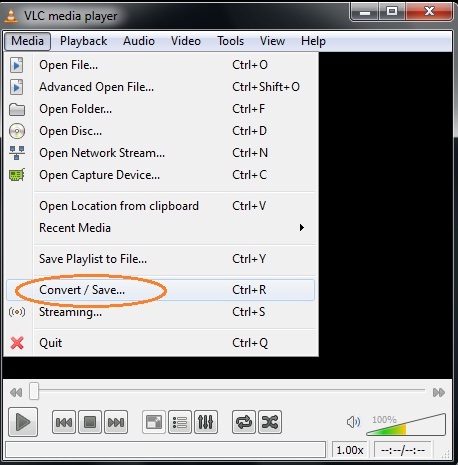 As most of us know VLC Player is an awesome media player that supports almost all Video Codecs. But most of the people are unaware about it's amazing feature that this amazing utility can also convert videos. So, it is a multi-purpose media player. This will convert videos easily in your desired format. If you do not have this amazing utility, Download it from here. Select Convert/Save option from the drop down menu. Now a new pop-up window will occur. Click on Add button located under the files to select the that you want to convert. Now Click on Convert/Save button. You will see another window. Select the Destination File and Profile( Conversion Format ). Click on start button to begin conversion. And now the video Conversion will start and you will see something like streaming!! Now you have learnt to Convert videos using VLC Media Player! !